We have a special treat for you at Zouk SEA 2014! Alisson & Audrey will be conducting a special choreography class right before the event and you're invited to be a part of it! Learn a special performance choreography and perform it at Zouk SEA 2014! 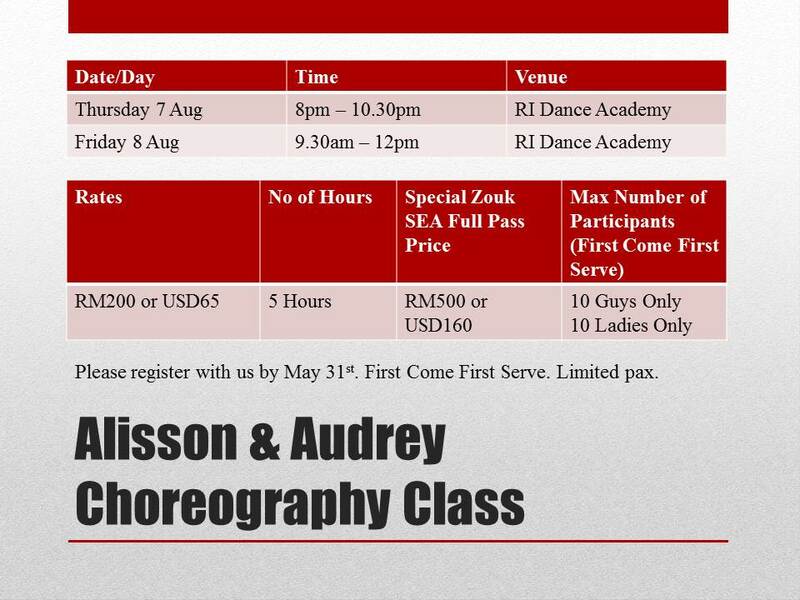 Alisson & Audrey will be training you so don't miss this chance to learn from the two of them!